Belvoir is one of Australia’s most innovative and acclaimed theatre companies. It engages Australia’s prominent and promising playwrights, directors, actors and designers to realise an annual season of work that is dynamic, challenging and visionary. As well as performing at home, Belvoir regularly takes to the road, touring both nationally and internationally. Since 2011, The Balnaves Foundation has supported the Indigenous Theatre at Belvoir program. 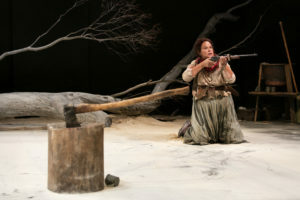 The Indigenous Theatre at Belvoir includes a performance in the upstairs theatre led by an established Indigenous artist (writer and/or director) telling an Indigenous story, and the downstairs theatre led by an emerging Indigenous artist (writer and/or director) who will be mentored by a senior Belvoir artist. There is also a range of access programs in conjunction with both productions, including free performances for the unemployed and school matinees. Since 2012, The Balnaves Foundation has also supported the Belvoir Indigenous Playwright’s Award, a $25,000 award for the creation of a new play by an Indigenous playwright. Recipients of the Award have included, Nakkiah Lui, Jada Alberts, Leah Purcell, Katie Beckett, Ursula Yovich and Megan Wilding. In 2018, the Award will become the Aboriginal and Torres Strait Island Fellowship. The Fellowship will accommodate applications from a broader range or creative practitioners and provide wrap around support from the Belvoir team. In 2016, The Balnaves Foundation also supported Belvoir to undertake an upgrade to its CRM system and resourcing. 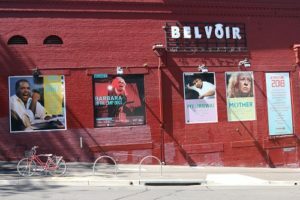 Find out more about Belvoir here.